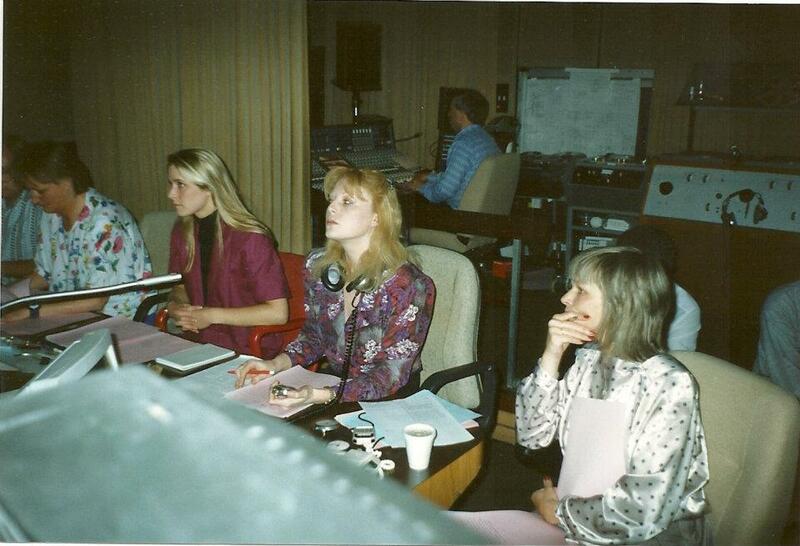 Female production team in the gallery of Midlands Today in 1990 at Pebble Mill. Left to right: Christine Palmer, vision mixer; Rosin Elder, director; Fiona Barton, PA; Maureen Carter Producer. David Croxson: ‘What a fantastic front desk. There was a right to do and a hoo-hah recently on a friends Facebook when it was shared as a triumph that the whole of a regional news programmes’ production team turned out to be female. Someone else complained that they wouldn’t have shared a similar photo if it was all men. All good wishes to you all.